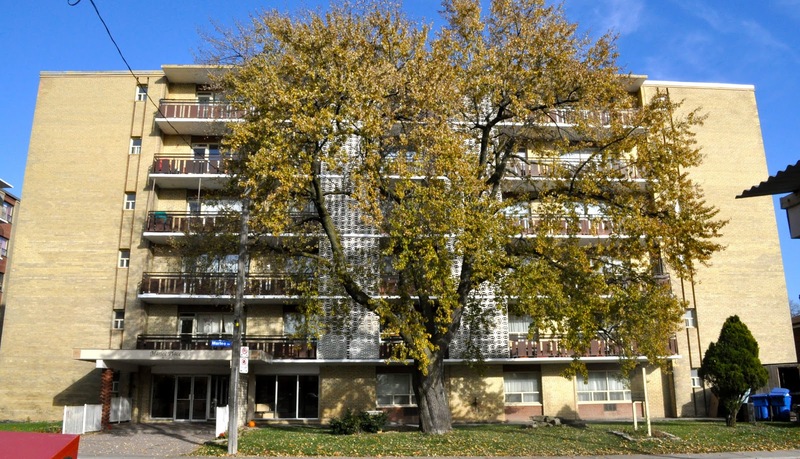 Located just on the outskirts of the city, Wilson Manor is a family friendly building that offers bright and renovated suites. 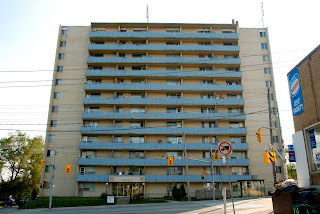 The building is conveniently located near major highways, steps from the TTC bus stops and just a short distance to the subway, allowing for an easy commute to downtown or uptown. 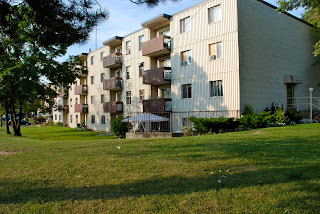 Wilson Manor also has some great parks in the vicinity, from Roding Park, to Downsview Dells and Exbury Park. The building is also just south of Downsview Park, the converted historic aviation building that is now one of the city’s largest recreational green spaces. The park also offers year round soccer, volleyball, children’s camp, and host many local events. The park is the busiest during the summer, with its farmers’ markets on the weekends, and outdoor concerts on the fields. 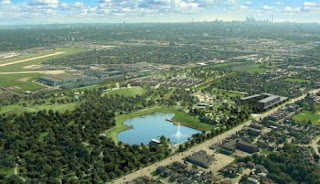 Downsview Park has become the hub of recreational and cultural activity in this area. Milson Manor will also be in proximity to the new first all-digital hospital in Toronto, with Humber River Regional hospital under construction just north of the 401 and Keele. The hospital is said to open in 2015, and will boost 656 patient beds that will allow patients “the control of their environment and the participation of their care.” The area is truly lucky to have such a state of the art facility in its front yard offering world class health care. There is also great shopping and dining in the area. Yorkdale Mall is just south of Wilson Manor, and is Ontario’s largest shopping complex housing many luxury brands like Hugo Boss, Tiffany Co., Tory Burch, Burberry, Louis Vuitton, Cartier etc. The mall has recently undergone a major expansion, bringing in many new stores and restaurants. The mall is currently working on another expansion that will house the Canadian first Nordstorm department store as well as many others in 2016. With many fast food dining options around the building, you are sure to find something to satisfy your craving, from Tim Hortons, to Pizza Pizza and Subway to just name a few. There are also some local favourites, like CJ Burgers and Pizza just down the street from Wilson Manor, which serves great pizza and authentic Greek food at great prices. Peter Gs Bar and Grill is another popular spot for the locals that serves great burgers and delicious poutine. 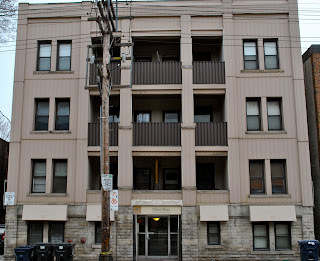 So don’t stress for the search, visit www.flagshipcorp.ca and rent an apartment at Wilson Manor, you’ll be glad you did. Our property offers an on-site friendly super that has been with the company for many years. The building is also surrounded by beautiful lawn space, and has undergone many improvements including newly painted corridors. 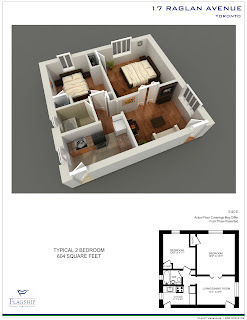 Wilson Manor is great place for you to call home, click here to see a property video http://www.viddler.com/v/79aa7e33! Schedule your showing today! Hannah Woods is located directly on Jane Street, just north of St Clair, in a vibrant multi-cultural corner of the city. 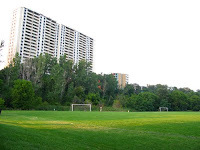 The area is also known for its many parks, Eglinton Flats, Smythe Park, James Garden and Lambton Park to name a few. 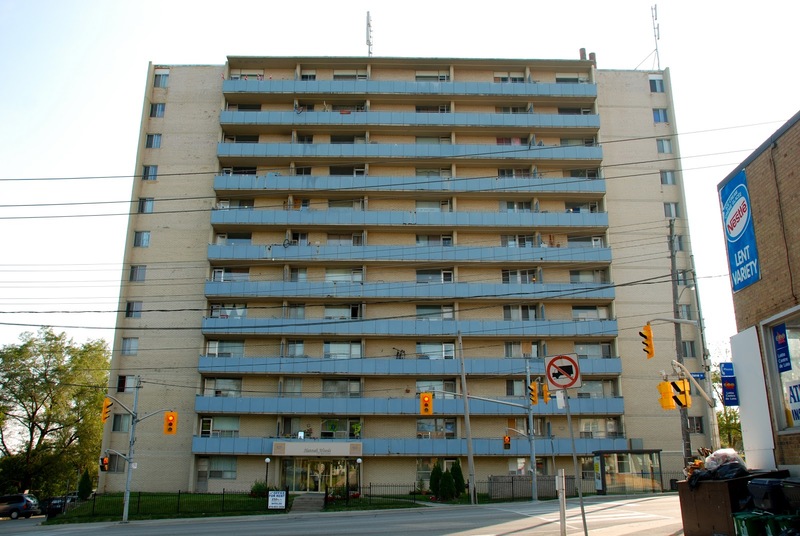 This property is also conveniently located just a short walk to the TTC Subway, and has a bus stop at your door steps. The parks and trails are great for those who love an active outdoor lifestyle. 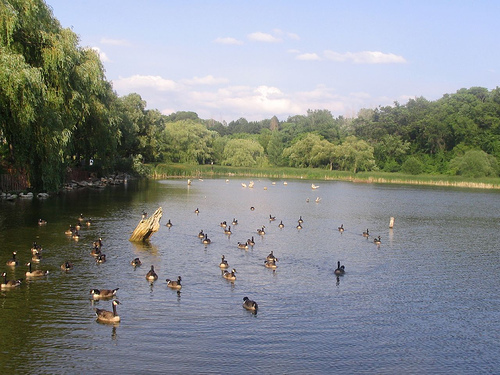 Many of the parks have gorgeous ponds nestled among the lush grounds, where one can take in the beautiful summer breeze, sit back and catch sight of the Canadian Geese. These parks are also very popular with the residences during the summer, as many host picnics, BBQ and gatherings at the Smythe Park, or play game of soccer at Eglinton Flats. Being in such a culturally diverse neighbourhood means there is a huge variety of different restaurants and cuisine in the area. 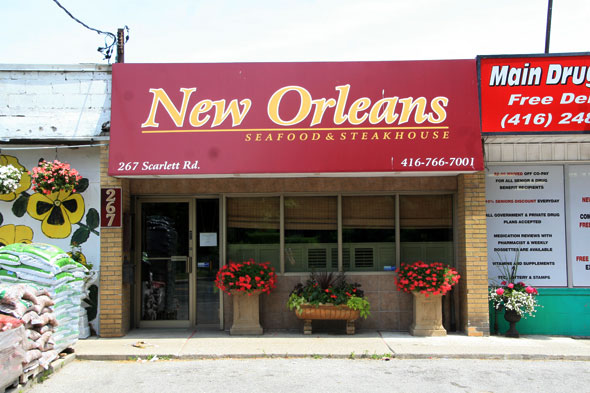 One of the area’s hidden gems is the New Orleans Seafood and Steakhouse on Scarlett Rd. You would never imagine finding such a cozy restaurant inside a small strip-mall that serves such flavourful dishes with moist and tender seafood. Another local favourite is the Bairrada Churrasqueria Grill located on St Clair, this small modern restaurant serves a delicious Portuguese style chicken, dine in or simply do take-out. There is also Indian cuisine in the area, the popular Roti Time, serves an awesome Roti and an excellent butter chicken. The final bonus to this culturally diverse neighbourhood is living at one of Flagship Properties. Hannah Woods offers on-site staff that quickly attend to all your maintenance issues, as well as controlled building access and security cameras. The building offers one and two bedrooms suites, each renovated by your rental commencement date. 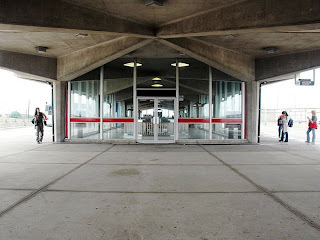 We offer TTC at the door but have indoor and outdoor parking available for rent as well. So when searching for the perfect place to call home consider Hannah Woods, the location is ideal for commuters, and the property management is great! Visit www.flagshipcorp.ca to see our availabilities and to schedule your showing today! This family friendly neighbourhood is nestled in between Lawrence and Eglington, just a short distance from the popular Forest Hill. Marlee Place and Roselawn Heights offer easy access to the TTC, with bus stops around each corner, as well as Glencairn and Eglington West Stations nearby. We cannot forget to mention, that Yorkdale and Lawerence Square are just minutes away from this location, with great shopping, popular stores and fantastic restaurants. Our buildings are within walking distance to many parks, schools, grocery stores, pharmacies, coffee shops, small restaurants, pizzerias etc. This area is just north of the York Beltline Trail, which stretches across from Rosedale to Davisville stations. 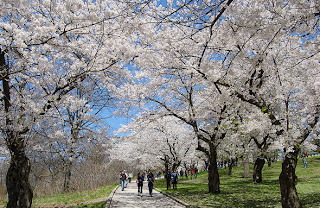 This beautiful trail offers walkers a chance to see a little nature in the very heart of the city, and to discover some of the city’s modern history. 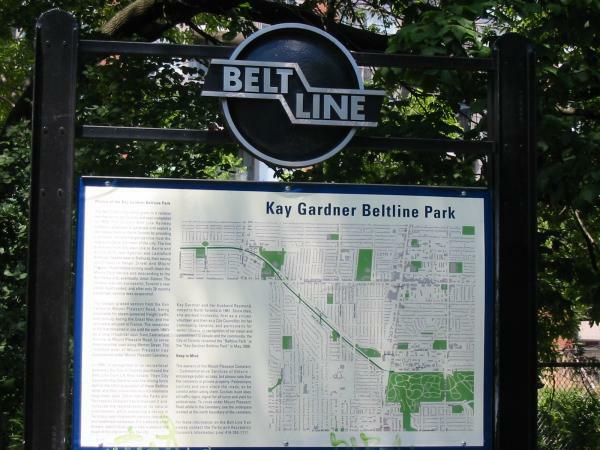 The trail runs along the route of the Beltline Railway, a commuter rail line belt in the 1891, which now serves as a multipurpose rail-trail by the city of Toronto. 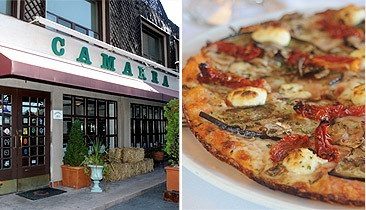 The area is also very close to some of Toronto’s oldest restaurants, from Camarra Pizzeria to Sky Ranch just east of Marlee on Dufferin St. Camarra opened in 1958, at the time it was the second pizzeria to open in Toronto. Since then, the small pizzeria has transformed into a full out ristorante, offering fresh delicious pizzas, pastas and tasty salads giving patron an authentic Italian experience. While the Sky Ranch, brings the taste of Argentina to Toronto with its variety of grilled meats in its famous “Parrillada” dish, as well as its delicious paella and seafood dishes. This cozy restaurant has been in business for over 20 years in the same location giving visitors a true argentine experience. 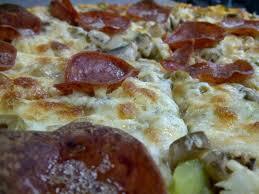 Many restaurants in the area have been around for years and continue to serve the community with exceptional service. 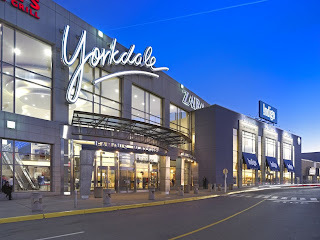 With world class shopping just minutes away from the building, Yorkdale truly is Toronto’s greatest mall serving all of the GTA, with its bus and subway stations connected to the mall. Yorkdale is the fifth largest shopping mall in Canada and attracts millions each year. This large upscale mall has over 250 stores, including many luxury retailers, Burberry, Lois Vuitton, Cartier, Tiffany & Co., Hugo Boss and more. Yorkdale mall is also home to many Canadian first stores, and will continue to undergo expansion to add more popular stores, including Nordstorm. The mall also boosts a completely renovated food court offering a first class dining experience to patrons. 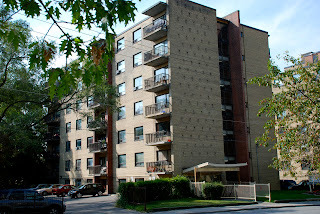 Marlee Place and Roselawn Heights are two family friendly buildings located in this great community. 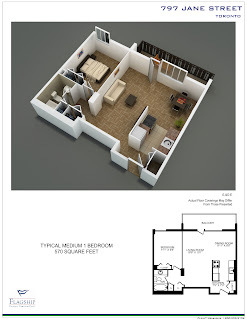 Offering spacious 1 bedroom and 2 bedroom units, these building have undergone many improvements over the years. The superintendent is also extremely friendly and helpful, and works hard to ensure all tenants are happy. 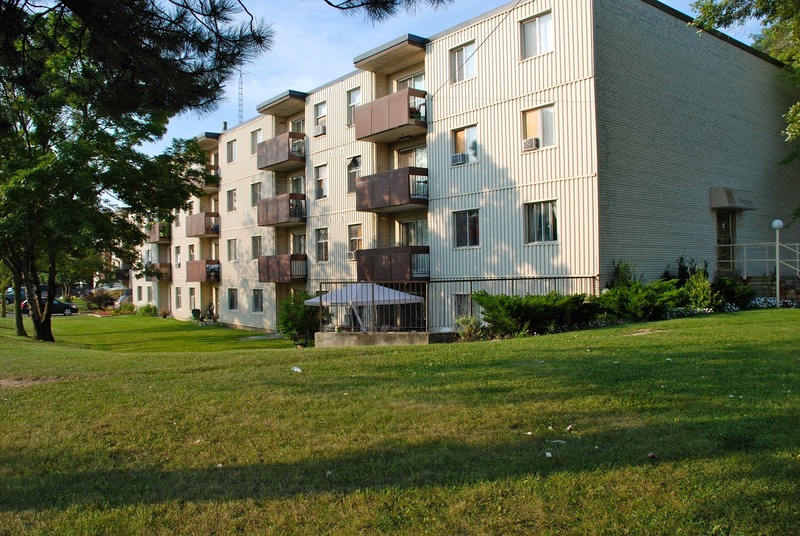 When searching for the perfect area, just north of all the hustle and bustle of Toronto, consider Marlee and Roselawn, you won’t be disappointed. Visit www.flagshipcorp.ca to schedule a showing and see a complete list of availabilities. This popular up-and-coming neighbourhood is close to the beautiful High Park and is bursting with unique tiny shops, cafes, bakeries and restaurants. Home to many well established polish restaurants and bakeries, this area is booming with culture and vibe. 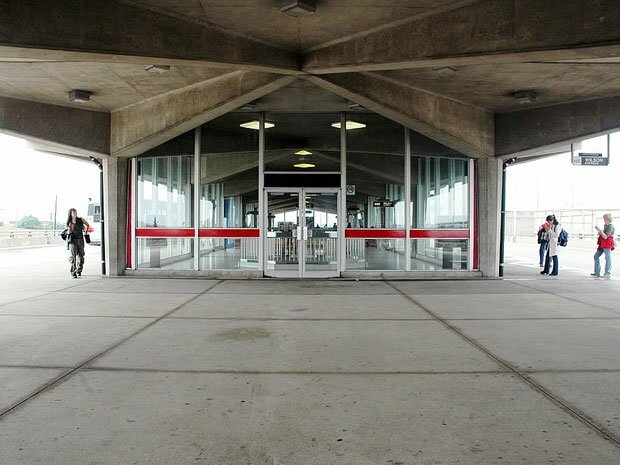 There is also easy access to public transportation, with TTC stops at every corner. 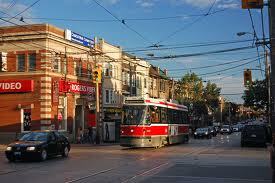 Maya Mews is located ideally on Roncesvalles Ave, close to Dundas, and just steps from the TTC stops. 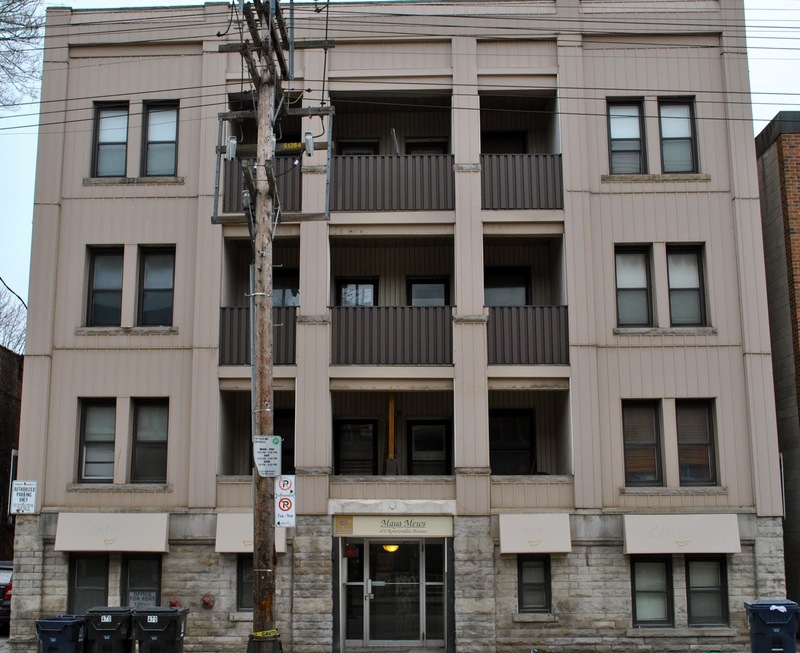 This small cozy building is nestled between buildings and near the hub of the popular Roncesvalles Village. 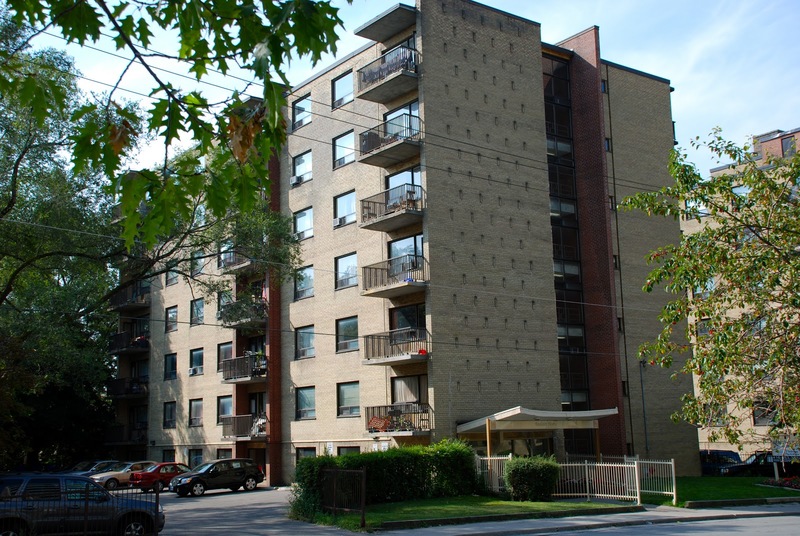 This area has become very popular with the younger working professionals, who search for a place with some cultural, near recreation and easy access to the TTC allowing for a short commute to work. 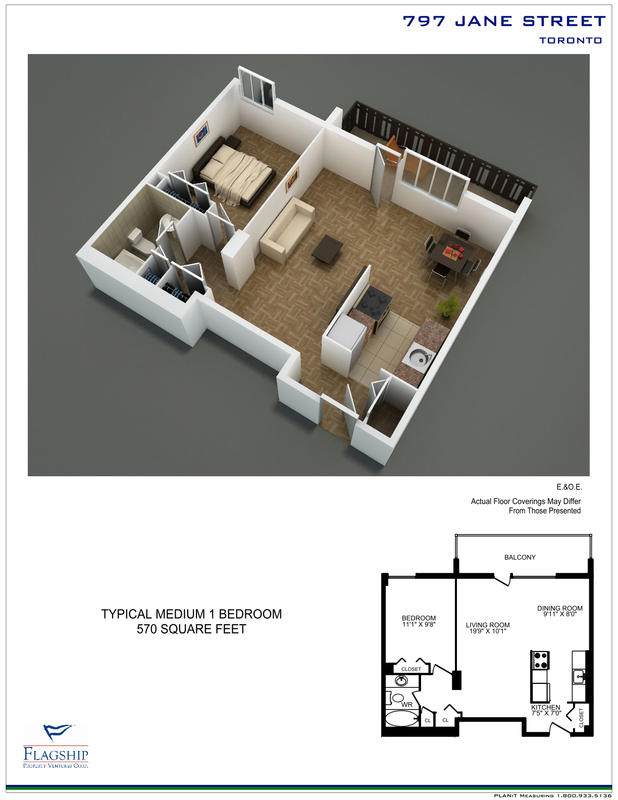 Maya Mews offers affordable and good size bachelor and one bedroom apartments. Maya Mews located on Roncesvalles Ave.
Roncesvalles also has some extremely unique and popular places that are a must see. 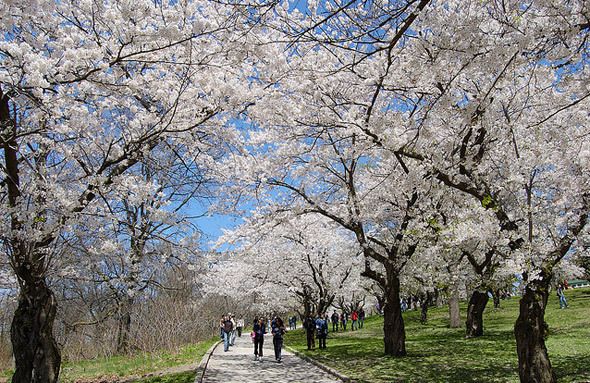 The well-known High Park, with its attractive cherry blooming trees that lure in visitors from all over the city each year to take in the aroma of the blooms and the picturesque of the park. The locals enjoy long walks throughout the park’s extensive area, bursting with mature trees and boasting a large pond where many sit and relax. The park also has a leash free dog area, a children’s playground, a picnic area, and a Zoo that dates back to the early 1900s. A new favourite that has attracted many visitors to the area is the Chocolateria, serving its famous chocolate dipped potato chips. 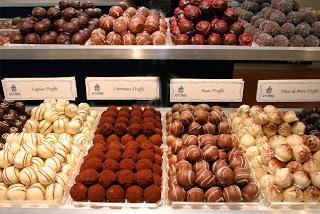 The shop also offers chocolate dipped anything, a variety of truffles, specialty chocolate bars, barks and brittles. This cozy spot also serves a delicious cup of hot chocolate and creamy homemade ice-creams. 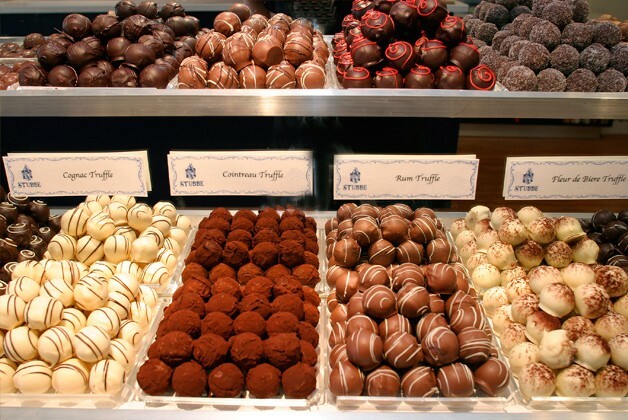 The shop also offers a variety of different chocolate classes, from learning how to make truffles or working with molds, great for groups and parties. 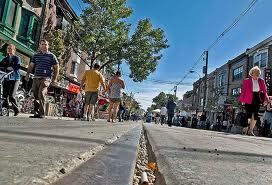 Roncesvalles is a great area to consider when searching for your first new place. This west-end neighbourhood has strong artsy energy, a foodie-focus and family friendly vibe. It’s perfect for you! 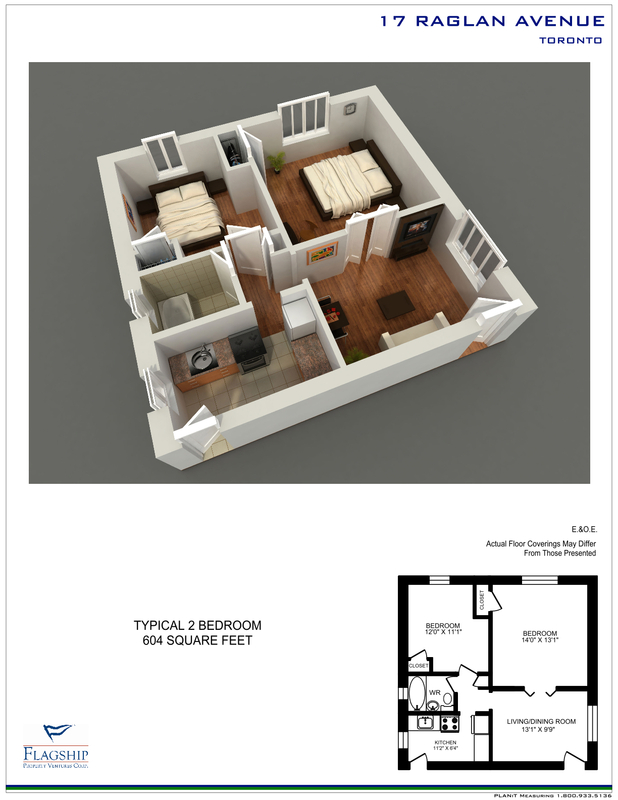 Visit www.flagshipcorp.ca for more information, photos, floor plans and property video. Don’t hesitate, visit our website today to schedule your showing and be on your way to renting your new place! Moving is a stressful process … but did you know that moving can also be hard on the environment? Before you assemble your moving checklist, remember that there are plenty of things you can do during your move that will help eliminate waste. Here are some things you can put on your moving checklist in order to make your move is a little more Earth-friendly. The first step on your “green” moving checklist should be to find some eco-friendly packing materials. This could be something as simple as obtaining your cardboard boxes from friends or asking local stores for extra boxes, rather than buying cardboard boxes. Alternatively, you can rent reusable packing containers, as well as other packing materials, from environmentally-friendly moving companies. 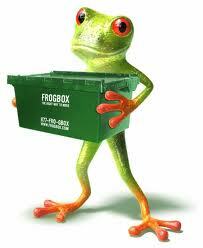 Frogbox Toronto is a great option, they rent Eco-Friendly reusable plastic moving boxes, not only do they drop it off at your old place, but they will pick it from your new place once you’re done moving. The price is great, and the service is convenient, affordable and Green! For more details visit their website, http://frogbox.com/ for a complete list of products and pricing. 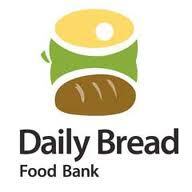 When you clean out your pantry and refrigerator before you move, consider donating all unopened food to a local food drive or Daily Bread Food Bank. You won’t have to worry about wasting food or transporting it to your new home. You can also compost any food that can’t be donated. Look through all the closets and storage areas in your apartment and decide what items need to go with you and which don’t. Those that can stay behind can either be donated or sold. In doing this, you will be using fewer packing materials and making fewer trips between your old apartment and your new one. You’ll be cleaning both your old apartment and your new one, so putting green cleaning supplies on your moving checklist is a must! Plenty of major cleaning product lines have environmentally-friendly cleaners. Swap out your regular cleaners for one of them for a quick fix. You can also search online for recipes to make your own cleaning solutions for windows, floors, ovens and more, all using ingredients you already own! 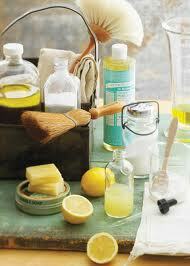 A great cleaning solution is water and vinegar, super easy to mix and works on just about anything. 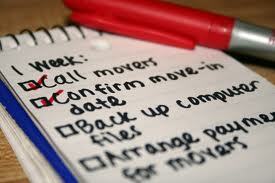 Whether you’re changing apartments, or moving out from home, be sure to start searching for your new place early. Visit our website, www.flagshipcorp.ca , months in advance to see our availabilities, promotions, 3D floor plans and to book your showing. 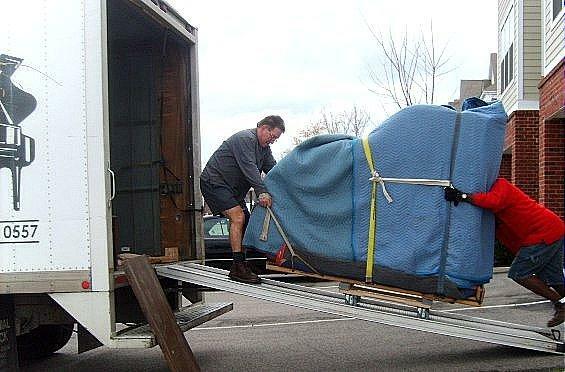 Making a move can be challenging, be sure to do all your research beforehand, book your moving company in advance and give yourself plenty of time to pack.